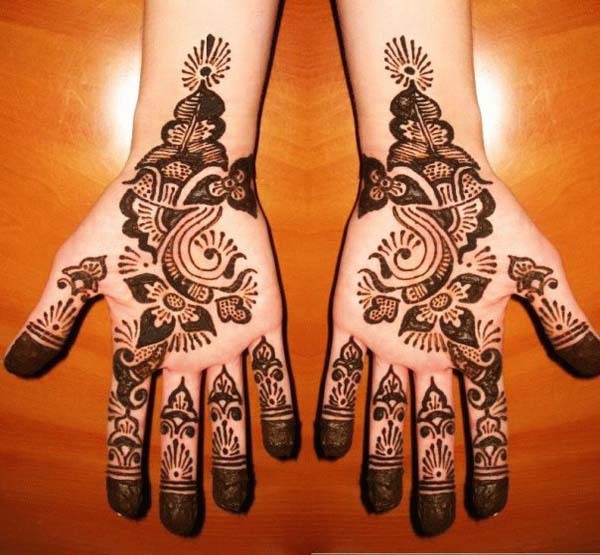 Mendi is made from the henna plant and is applied on hands, arms, feet and legs to make them look prominent and beautiful. 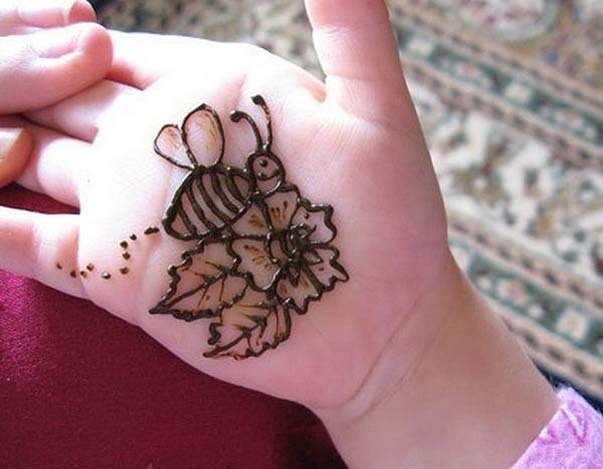 As kids, girls have a very high interest in it, in fact the start of a lifetime of obsession with henna starts when girls are just small kids. 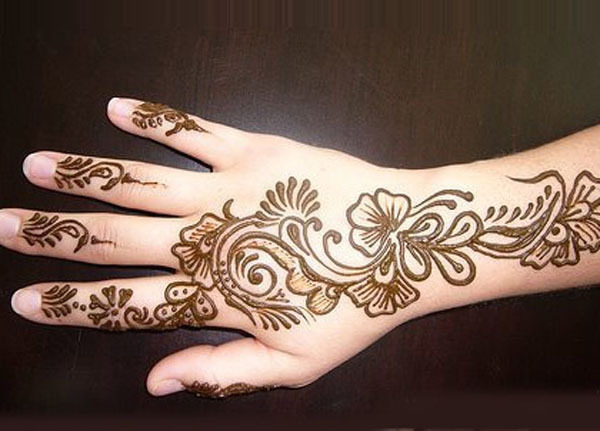 Mehndi designs for children are usually simple because of their youth and heavy work doesn’t suit them at all. Simplicity in the patterns makes them lovely; small floral designs are liked by kids and do not give off the feeling of weirdness. They can even go to school with these patterns on; kids have birthday parties all the time and it would be great if they put it on for parties. 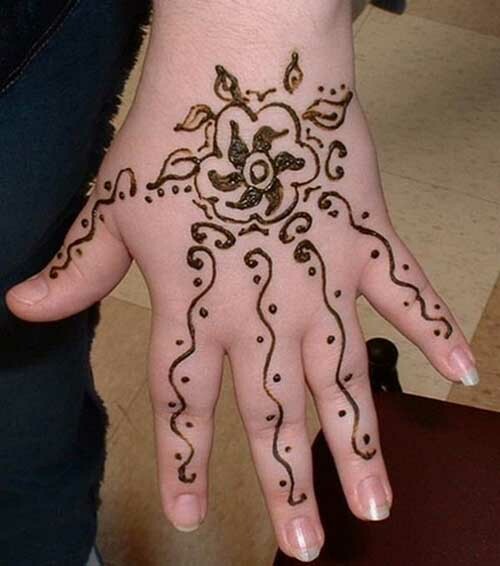 Indian, Pakistani or Arabic mehndi designs can be applies on kids’ hands or feet; hands of children are so small and cute that the mehndi looks amazing on them. Because of their small hands there are very easy designs available for application. Everyone wants their kids to look beautiful on a special occasion and there is no better way to make it happen than using some of the easy patterns and apply them on your girls’ hands. If you are a beginner and are practicing the art of mehndi then you can use these designs for practice on your younger siblings or cousins. You do not have to be an expert to apply these designs; all you need is a steady hand and a powerful will for the correct and perfect application. 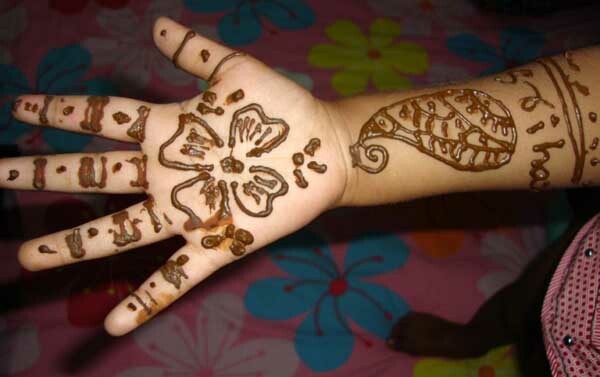 Very small kids love mehndi but they do not realize that it could be catastrophic for their clothes and furniture if wet; so you have to be careful when applying on kids because they love to mess around and realize later the mess they have made. Simplicity is a beauty when it comes to children so you should keep the designs plain and not go overboard by applying too much. Circular designs are probably one of the easiest designs available for kids and look cute. When it comes to kids you should maintain the policy of simplicity and plainness but remember that being simple does not under any circumstance mean being ugly. 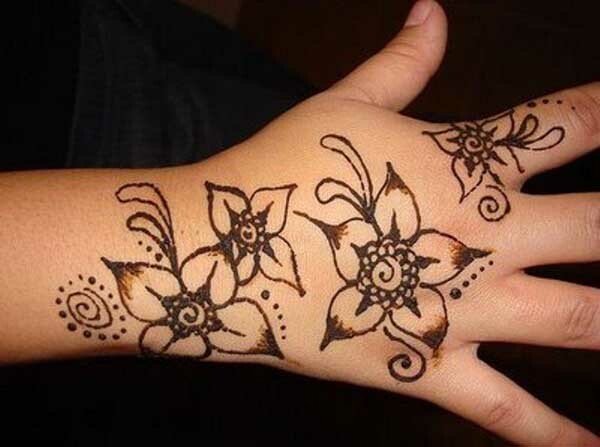 There are plenty of designs which look beautiful on small hands because of their design. A little intricacy while applying on kids is not a bad thing and can help in making the designs beautiful. 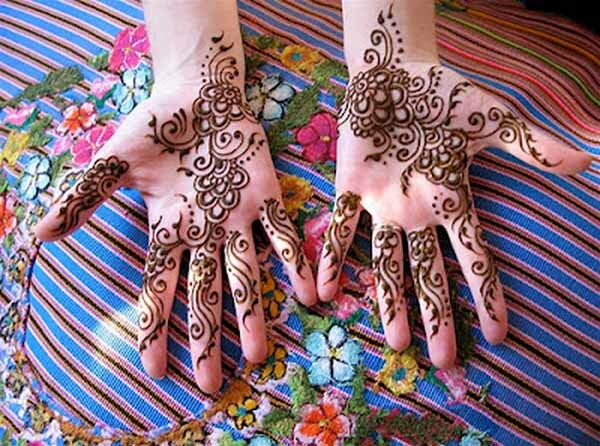 Be it eid or a wedding mehndi is a mandatory part of it and not only for grown women and young girls but also for kids. Arabic designs are simply gorgeous; there is no other word for it. They are trendy and fashionable and never lose their touch. Not only do they suit brides but also kids which is amazing. They look best when done with black mehndi but the regular color looks great too. Arabic patterns have been gaining popularity because of they are extraordinarily lovely. 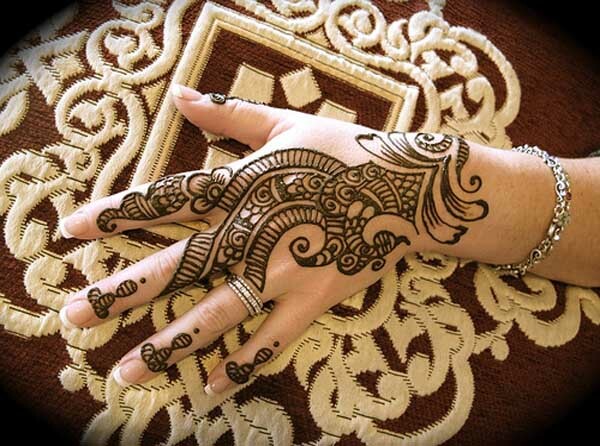 The designs can be simple and plain but always attractive, and they look great on every skin tone which is a plus. In Pakistan mehndi is considered as important on eid as sheer-khurma (a sweet dish) and as important at a wedding as a red bride dress, which makes it pretty important.We lived with Indians for a very long time and their culture mixed with Pakistani culture which holds true for the kind of mehndi too. 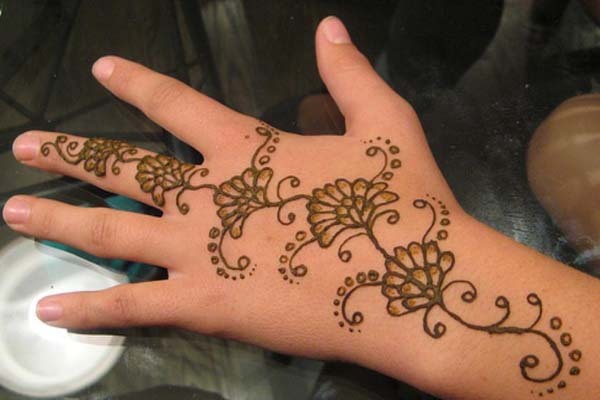 The mehndi for kids is simple yet intricate; it is trendy so it suits all. 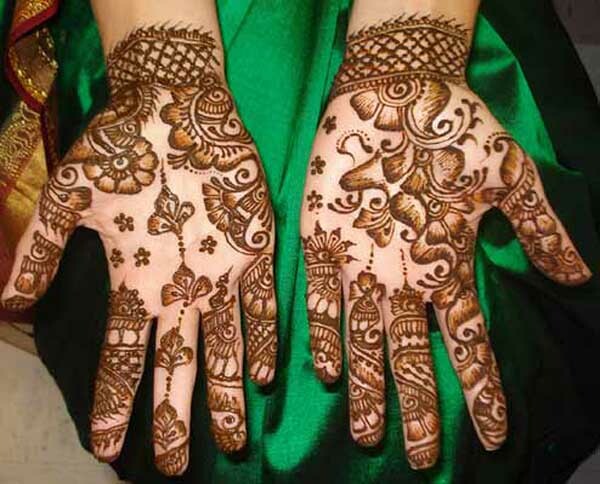 Most Pakistani girls are a huge fan of mehndi; they like to learn it, practice it and put it on. There is a variety of designs available and usually the best ones are those that match your clothes. Nothing beats the great feeling you get from wearing that temporary tattoo that accentuates the beauty of hands. 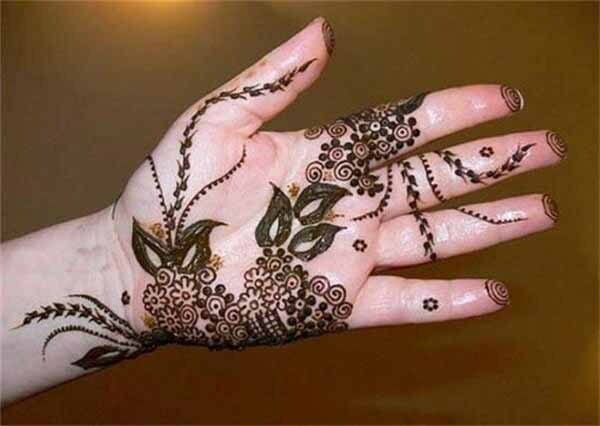 Henna is the name of tree from which the dye for applying mehndi is derived; mehndi is temporary tattoo so it is removed from the skin by itself after sometime or you can use some home tips for removing it if you have some work obligations. For kids mehndi is a novelty because mothers do not let their children get it done very often; hence on eids and weddings their excitement is palpable as they get to get their hands filled with that colored dye which looks amazing. There are a number of designs available which are perfect for kids and even if you do not have any that has been especially made for kids you can always modify the adult design to fit their tiny hands and they would look equally pleasing. 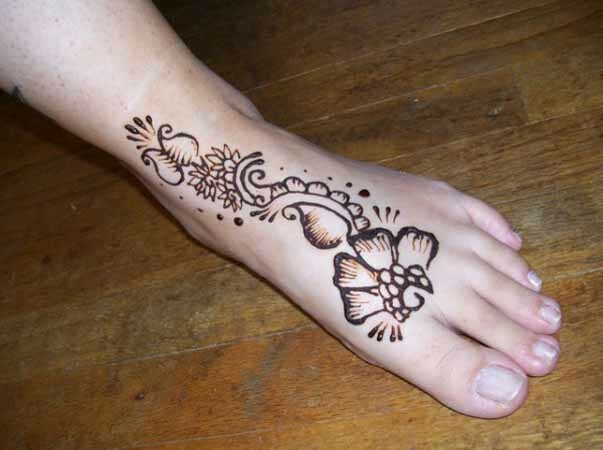 Elegant and classy designs for kids’ feet are necessary know for every woman who practices the art of applying mehndi. They should not have very big symbols nor should they be filled with intricacies. A simple design for the feet would do because if every inch of a child’s foot is covered with the tattoo it would be too freaky. So again you need to think through about what you put on a kid’s feet because of their childishness, innocence and their small feet.